Stop letting your impulses run your life and let subliminal messages give you the willpower to change your life forever! Do you struggle with constant impulses to do things you know you shouldn't? Do you feel like your lack of willpower is keeping you from enjoying your life? Do you tend to act on impulse so much that you end up regretting it later? Do you wish you could somehow get control of your impulses and live the life you really want to? Well the key to changing your life around is by simply changing the current messages that dominate your thinking. If you can change your thoughts and take control of them, then you can change your habits and how you live your life. 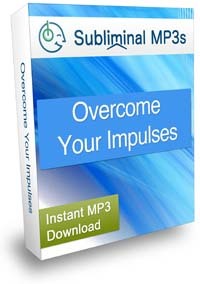 Subliminal audio has the ability to impact your thoughts on a deep subconscious level. It reaches into your subconscious mind to help you to change the way you think, and this can be used to change your beliefs and how you think - and ultimately impact on your impulsive nature and change you for the better. With help from our subliminal messages you will begin to realize your impulses no longer have the hold they used to have on you and it won't take several months to begin to notice positive changes either. If you listen as everyday you can look forward to noticeable changes within only a few days. However to really benefit from this subliminal album you should continue to listen for a few weeks at least because that's when the changes will really begin to impact your life for the long term. Can you really experience changes that will make that big of a difference in your life? Take a moment and imagine yourself leading a life that is focused, rational and free of uncontrolled impulses and how gratifying it feels knowing you have a natural sense of willpower. You can live your live knowing you can deal with life’s challenges from a brand new perspective. Stop giving into temptations. This will allow you to take a more logical approach to your life giving you a new sense of empowerment and confidence. No longer make decisions based on spur of the moment temptations. You will no longer have to worry about doing something without thinking it through first, because you will be able to handle yourself. Live your life in control of your mind and body. You will finally be free to experience the joys of life without fearing that you may ruin something, and you'll become more confident and relaxed in any situation. You really can improve your self control over almost any impulses that are negatively affecting your life right now! Download this subliminal album and finally experience how wonderful your life will be when your impulses are no longer in control! This album goes hand in hand with our freedom from addiction mp3s. This album focuses more on "lighter" impulses rather than harder addictions.